A baby-food trend has made its way to booze. Squeezable pouches — which have been the packaging of infant brands for a while — are emerging as a big hit for alcohol marketers. They are now putting wine, premixed cocktails and flavored malt beverages in the plastic packaging as a way to lure consumers seeking a quick and convenient buzz — er, drink. 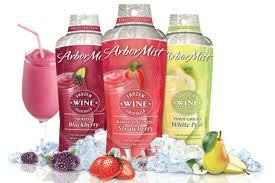 The trend took off this summer, spurred by newly introduced pouch versions of big brands such as Smirnoff and Arbor Mist. Sales of alcohol pouches jumped 153% to $154 million in the year ending June 23, according to Nielsen. And pouch drinks are making rapid distribution gains in grocery stores, according to SymphonyIRI Group. While distribution is lower at drug and convenience stores, chains such as Walgreens have begun stocking pouch brands in coolers at some stores.